Avocados and chocolate? Yep they go together...I promise! 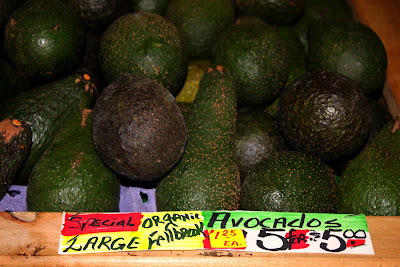 I picked up some organic locally grown avocados yesterday and made some yummy antioxidant packed muffins! I was almost sure there were no other weirdos who would put avocados in muffins, but I was wrong. I guess you can put anything in a muffin, even sardines...NO thank you, sardines are staying out of my muffins...but there is an actual recipe if your curious. Mush up the two avocados. In a large bowl add melted chocolate, olive oil, honey, vanilla, and almond milk. In a separate bowl, combine all the dry ingredients. 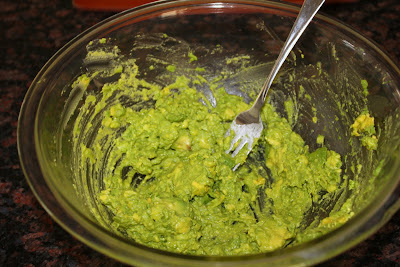 Mix the avocado mixture with the dry ingredients until you have a nice smooth consistency. I was a tiny bit worried that these would taste funky..but nope they are delicious!! These look great! My sister made a chocolate cake with avocado because she ran out of butter and she said it was amazing!! Wow! These look so good! I never thought of putting avo in my muffins but I do put it in my morning smoothies with berries and I love it! Thanks for sharing. MMMHMM!! those looks so good sis! what a combo and nope would have never thought! 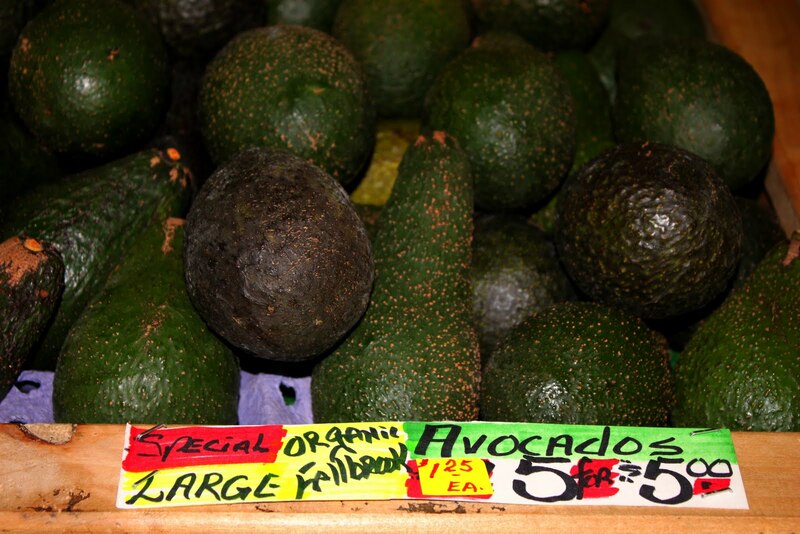 If only we lived in Deluz still,....avocados galore! Wow! I would never have thought of this - what a unique idea! I'll have to try it out sometime. Thanks for the suggestion! Hi, love your recipes! I'm wondering what I can substitute the wheat flour with. I'm going no-wheat. I have your brownie recipe in the oven right now, smelling yummy! Hello, I was thinking of trying this recipe, but I don't see an oven temperature and time. Perhaps, I am just missing it ;) I have just begun baking and cooking so I'm scared to fake it. Thanks! 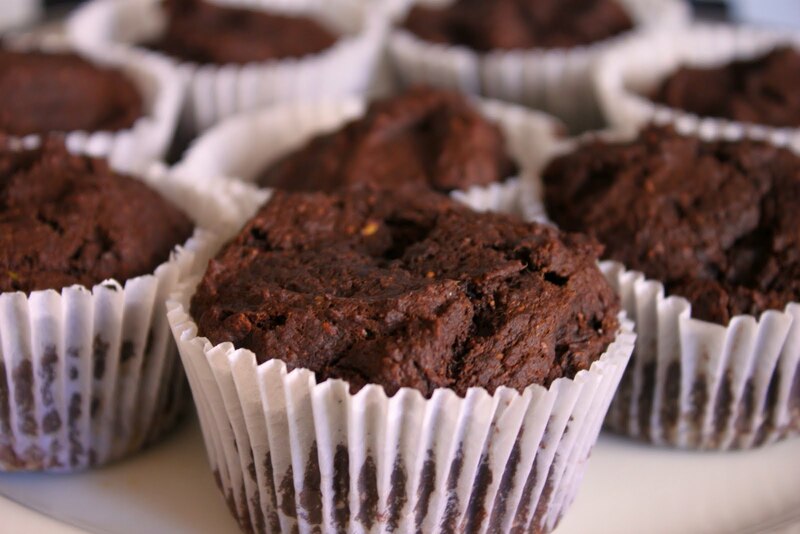 Have you had any luck making a gluten-free version of these muffins? I would love to try it out. Hi, are these supposed to be unbaked muffins? I don't see any oven temp mentioned here. if this is going into the chiller, how long should they be chilled? Also, as i am going on strict paleo, i want to replace the whole wheat flour with almond meal or coconut flour, or even arrowroot flour. Are these good substitutes. I actually used almond meal and baked these at 350F, but they still turn out soft, really wet and mushy. Please advice! !